Diesel pickup trucks are becoming more and more popular within the United States. But since diesel trucks have been around for so many years, you may be wondering why this is. There are a variety of reasons starting with the power that can be found in a diesel pickup truck. Many will buy a diesel truck whether they need the power on a daily basis or not. They are used for their power to haul a great number of things and come in handy for those that need to haul heavy things everyday. Because of their power, diesel pickup trucks are used by the majority of those that need to haul heavy items. 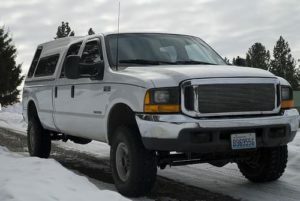 But it is also beneficial to have for those that haul things occasionally and those that just want to be prepared with the power of a diesel pickup truck. The next reason is the technology that has been used in designing the new diesel pickup trucks. This technology has been used to create diesel trucks that have cleaner burning engines. This is not only beneficial to the environment but is beneficial to the trucking industry as well. With all of the pollution that is created by vehicles today, it is a bonus for many looking to buy a pickup to have a cleaning burning engine. The changes that have been made to the engine of a diesel pickup truck also brings up another benefit with the fuel economy. New diesel pickup trucks are now getting better miles per gallon of diesel then they ever have before. A three to five percent improvement has been seen in the fuel economy of these trucks. This helps to reduce the costs in running these vehicles. Additional strategies are also being worked on to continue to improve the fuel economy of diesel pickup trucks. Diesel pickup trucks are also gaining popularity due to the variety of models that are becoming available. A better selection of diesel pickup trucks give people a choice in the type of truck they would like to have, rather than there just being a couple of choices. With all of the benefits people can get from diesel pickup trucks, it is no wonder that they are becoming increasingly popular.